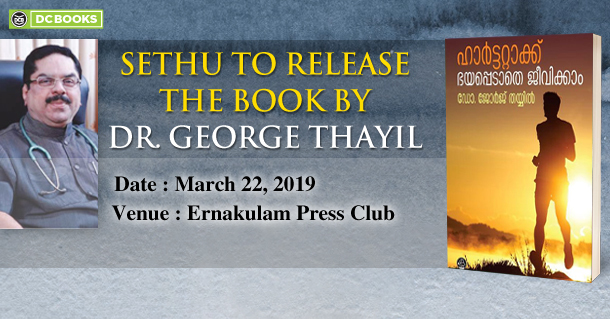 A recognised and respected cardiologist and the author of six acclaimed books on health and preventive medicine, Dr. George Thayil’s recent book is set to release on 22nd March 2019. The event will be held in Ernakulam Press Club by veteran laureate of Malayalam literature, Sethu. The book will be presented to Rev.Fr. Shaiju Augustine Thoppil, the director of Lourdes Hospital.